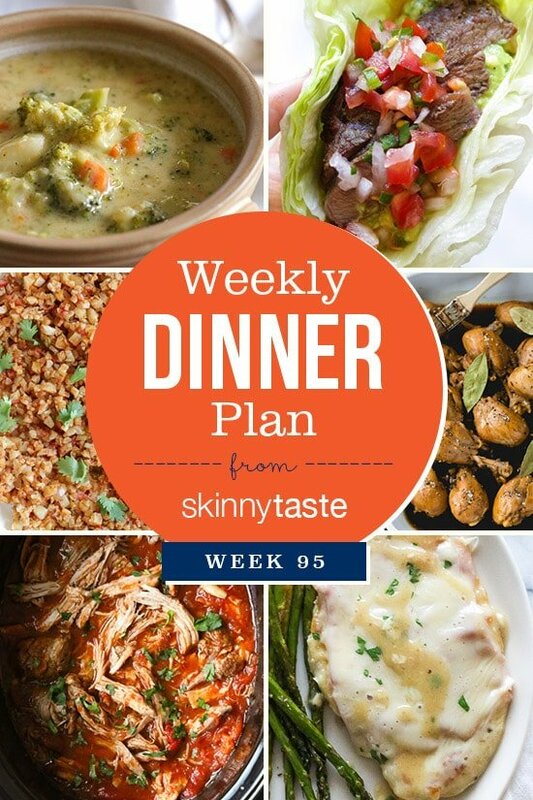 Skinnytaste Dinner Plan (Week 95). I celebrated my birthday this weekend and went out to eat with friends and family so I am happy to get back on track this week! I’m keeping the carbs low this month (80/20) but craving Broccoli Cheese and Potato Soup so I added that to the menu (kids love it! ).